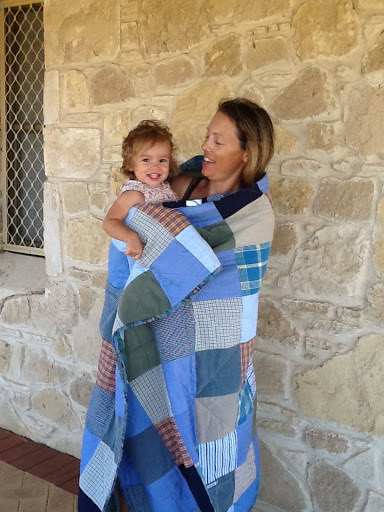 Today the quilt made for Tania was delivered safely into her arms. 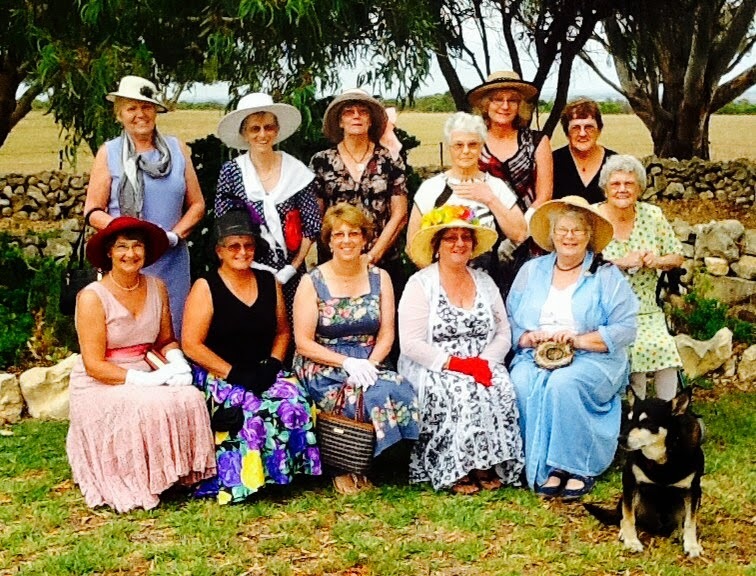 We were so blessed to meet this wonderful family. 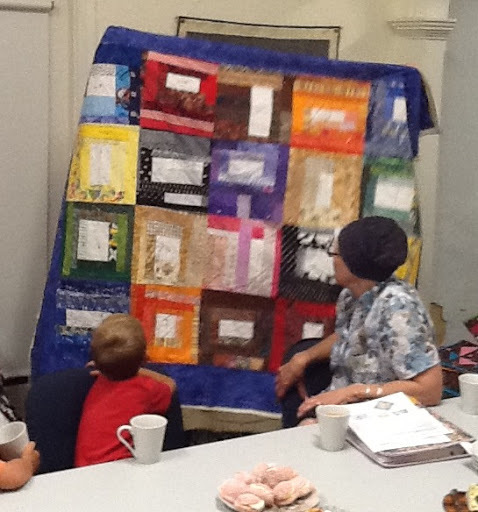 Making them each a memory quilt was an absolute pleasure. 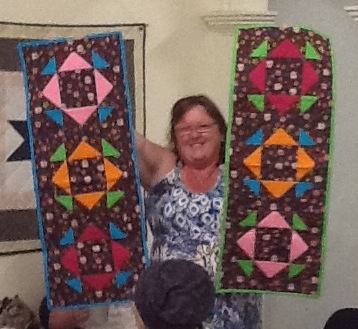 The Patch girls have been busy making other quilts too lately, here is Linda with her beautiful work. 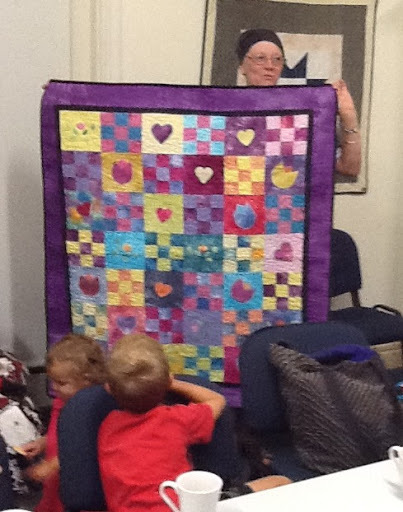 Teena brought along the pretty quilt the group made for her to take to hospital. 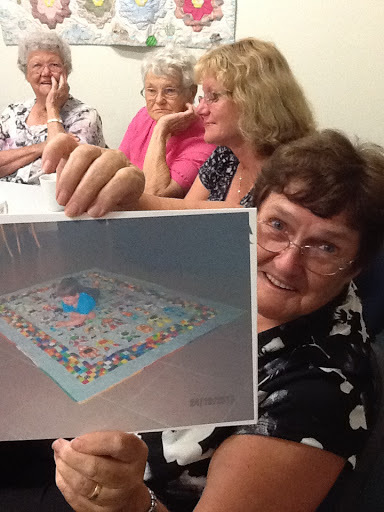 Loris only had a photo to show because her grandbaby needed his birthday quilt before our meeting. I think Edith is much happier than she's letting on.